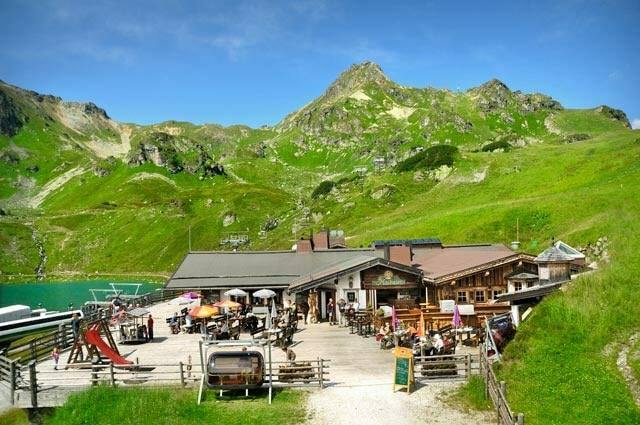 Although the Krummschnabelsee is located in Obertauern at about 1800 m above sea level it gets up to 24 degrees warm in summer. 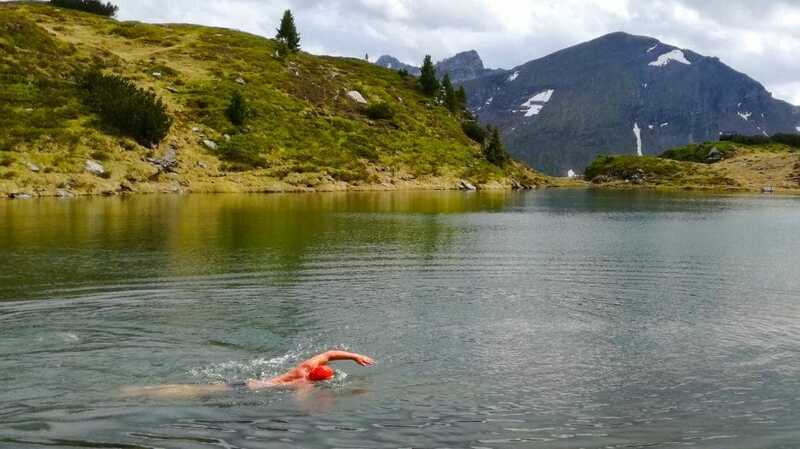 Because it also offers a high alpine panorama and with the nearby Hochalm a perfect rest stop, the moorlake is ideal for relaxed wild swimming in the context of a simple alpine swimming trip. In winter the signposted “Tauernrunde” (Tauern round) is a popular opportunity for skiers to circle the popular winter sport resort of Obertauern. 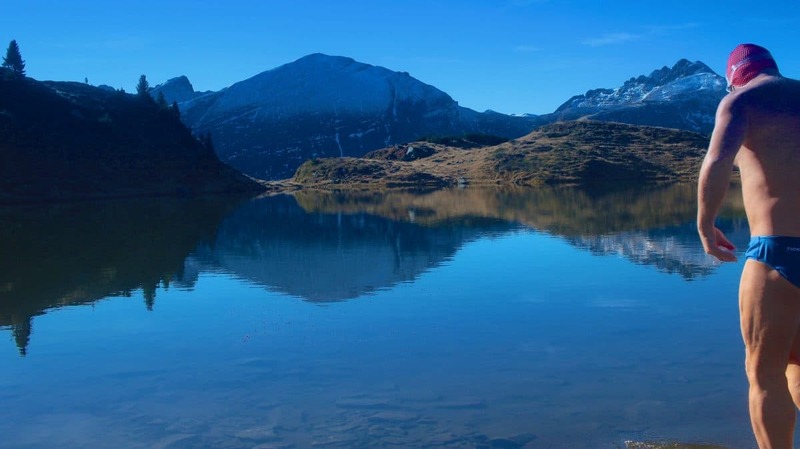 In the summer and autumn months Obertauern offers swim-hiking friends variants of exciting “Tauernrunden” including beautiful mountain lakes. The “small Alpineswimming Tauernrunde” described here starts at the pass and leads to the nature reserve “Seekar”. At the Hotel Seekarhaus follow the asphalt road to the junction Oberhütte-Akkarscharte. Now take the gravel road on the left, pass a little steeper ascent, before you see the lake on top of the hill. In cal conditions the surrounding peaks are reflected in the lake and you can immerse yourself in this mountain panorama in the truest sense of the word. 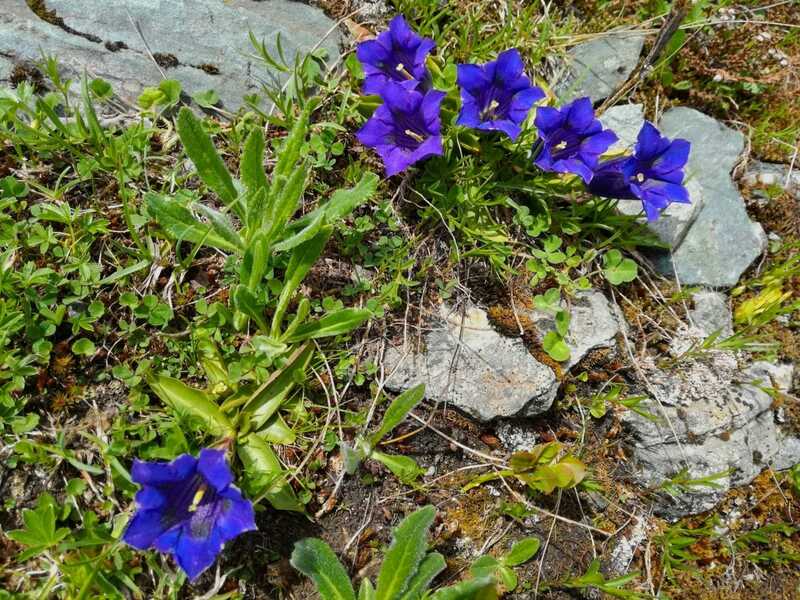 Especially beautiful is the visit of the Krummschnabelsee from about mid-June, because at this time gentian and alpine rush mostly bloom here. Due to its moderate water temperature the lake is still a rewarding hiking and Wildswimming destination in early autumn. If the previously mastered about 300 vertical meters were still too few or who still has more mountain lake cravings should make another 200 altitude meters and dive into the “Hochsee”. For all others the nearby “Hochalm” at the “Grünwaldsee” is a very delightfull location. Here you sit very nice and you can eat and drink here very well too. 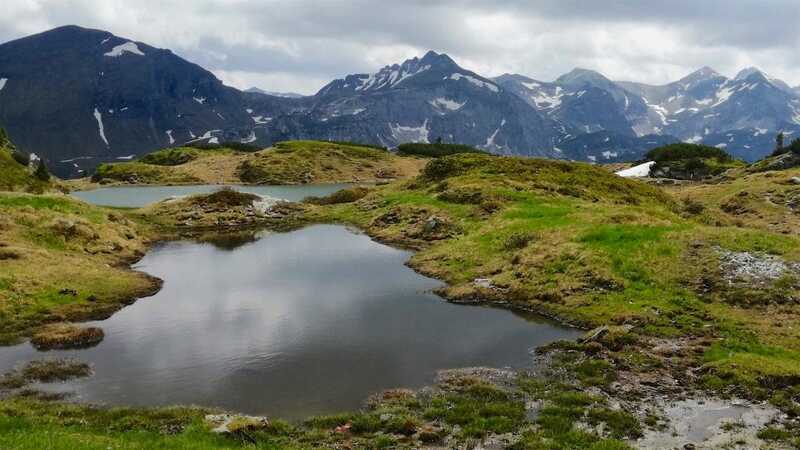 Thus strengthened one then makes the descent and follows the gravel road downhill to the Sonnhof and continue towards Obertauern pass to close this “small Alpineswimming Tauernrunde”. Another and more convenient way to get to the described mountain lakes during the summer months is to use the Grünwaldkopf chairlift and possibly also the Hochalm-sesselbahn. 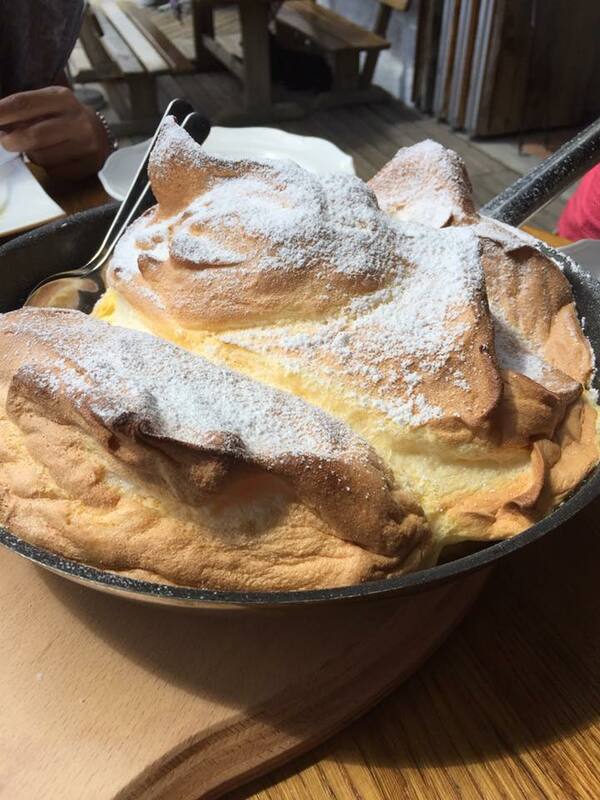 However, Krummschnabelsee, Hochalmsee and Hochalm are definitely a great tip for a pleasurable alpine swimming trip. 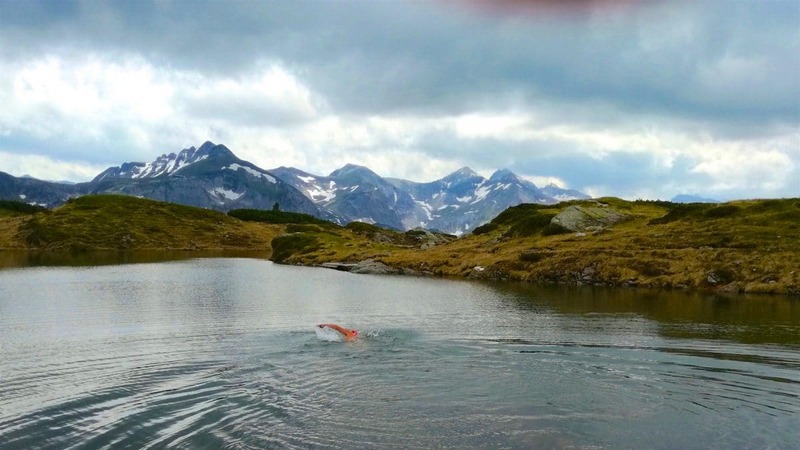 To stay up to date with alpine swimming and wild swimming, register now. By the way: in the spring of 1919 my book “Wildswimming in the Alps” will be published!